Senator Marco Rubio is the Ranking member on the Senate Commerce Committee, Subcommittee on Ocean, Atmosphere, Fisheries and Coast Guard – an important role for ensuring the efficient and effective management of our oceans and coasts. It is a disturbing early step by Senator Rubio in the 113th Congress to defund all programs addressed by E.O. 13547 which implement the National Ocean Policy, including those efforts to make ocean governance more efficient and cost effective.Senator Marco Rubio (R-FL), has introduced an amendment to the 2013 continuing resolution – the bill which would fund the federal government for the remainder of FY2013 – which would trip away all funding used to implement items within President Obama’s Executive Order E.O. 13547. For those only paying the minimal amount of attention to DC politics, cutting funding to implement an Obama Administration policy might seem like an effort to cut back on programs that Republicans see as wasteful and outside the intended reach of the federal government. However, this ham-handed approach not only would frustrate interests of the Obama Administration, it would greatly hamper efforts which Republicans regularly support – improved coordination to reduce waste and duplication in government programs. Rubio’s amendment (#102 to bill H.R. 933) is a blunt legislative tool that could eliminate such things as multiagency coordination for marine debris cleanups (remember the 3-11 tsunami disaster? We’re far from done addressing the aftermath of that event on our coasts and the mariners who operate on the open seas. ), protection of our ever diminishing coral reef habitats, or any number of themes which fall across agency boundaries and require improved planning and coordination if the Executive side of government hopes to have any chance to unwind the overlapping policy responsibilities and corresponding budgets created by a patchwork of laws passed by Congress over the last 40 years. There have been similar sloppy legislative efforts by Rep. Bil Flores (R-TX) to block all funding relating to the “national ocean policy” promoted by the Obama Administration, but this is the first time I’ve seen that the short sighted efforts mirrored on the Senate side. One can only hope that with time the junior Senator from Florida’s drafting of legislation will improve and address substantive issues, rather than blunt language replete with unintended consequences. 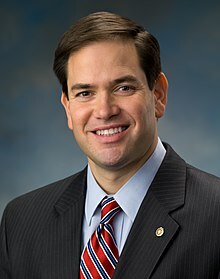 As Senator Rubio holds a new position as ranking member on the Senate Commerce Committee Subcommittee on Oceans, Atmosphere, Fisheries, and Coast Guard, he is in great position to use the Committee’s professional staff to better understand the implications of language he introduces. Florida is an important coastal state – important to the people of Florida and important to the nation. I hope that as the 113th Congress continues Senator Rubio takes the time to review the broad reaching impacts of legislation, even legislation as short as amendment #102 in the FY2013 continuing resolution. Florida enjoys both the beauty and bounty of the Atlantic and the Gulf of Mexico. Along with those resources comes a collection of issues that need addressing if Florida residents and the millions of visitors who enjoy her shores are going to be able to continue to seek pleasure and economic prosperity from the state’s coasts. A number of the challenges facing Florida today cross multiple federal agencies statutory areas of responsibility (not to mention significant overlap with state of county agencies) and are challenging to coordinate. Eliminating funding for programs the Presidential Executive Order would use as tools to address some of those inefficiencies is short sighted and poorly crafted legislation. Sec. __. None of the funds appropriated or otherwise made available by this Act may be obligated or expended to carry out Executive Order No. 13547, relating to Stewardship of the Ocean, Our Coasts, and the Great Lakes. « Hurricane Sandy relief bill passes Senate. Provides important aid but House R’s efforts to strip out $ for planning to rebuild survive.